The government should focus on enforcing laws that curb tobacco use in order to check the spread of cancer, a medical expert said. ‘There have been efforts to ban tobacco, but we need to understand that we are also fighting a large tobacco lobby,’ Sharmila Pimple, professor at Department of Preventive Oncology, Tata Memorial Hospital said at a special session of the Indian Cancer Congress held at New Delhi. Prof.Pimple said it was extremely important to provide local health solutions at the grassroot level. The four-day event that commenced Thursday saw participation of radiologists, pathologists, scientists, and physicists. ‘It is for the first time that we have oncologists from across the globe, including 130 foreign delegates, to sit and discuss situations and research associated with cancer in India. We have always realised the need to talk among ourselves, and now its finally happening,’ Nitesh Rohatgi, consultant medical oncologist and palliative care, Max Super Speciality Hospital told IANS. We have already seen an aggressive campaign against smoking in India , be it on television or in the Indian cinema halls. The moment someone lights a cigarette on screen, there is a disclaimer against tobacco use. 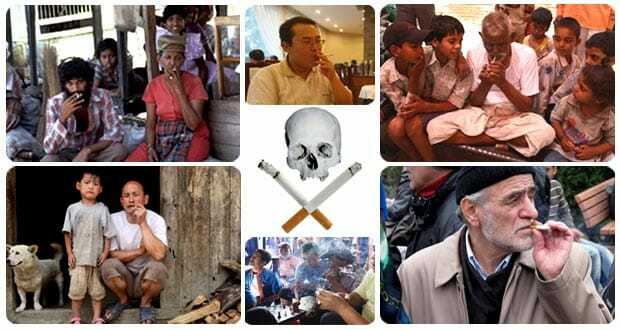 According to this article on Zee news in February 2013, it has been estimated that tobacco is the single most avoidable risk factor for cancer mortality as it causes approximately 22 per cent cancer deaths per year globally.As many as 2,500 persons die every day due to tobacco-related diseases in India.